You might have noticed your Windows 10 computer running slow this week. Don’t worry – it was for a good reason!Microsoft has just pushed out its latest version of Windows 10, referred to as the Fall Creators Update. If you use Windows 10, you have no option but to install it. The upgrade probably made your internet and computer slow for a little while, and will have used a large amount of internet data. 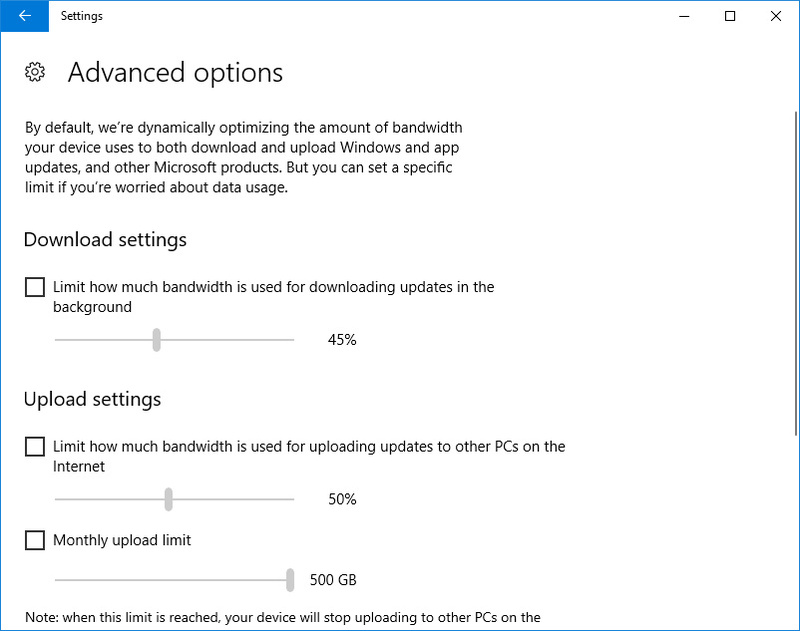 But for all that pain, users are getting a great pay-off: you can finally limit how much of your internet bandwidth Windows 10 uses when updating itself! The way Windows has handled updates in the past has been an absolute bugbear for users and technicians alike. Even smaller updates have been known to make computers and internet connections temporarily unusable. It’s early days, but it looks like this new version of Windows will fix issues some users have faced with Windows updates. If you get confused with IT stuff, don’t panic, you shouldn’t need to do anything. But if you do have trouble with updates, drop in to 6 Smith Street Warragul to ask how this affects you. First open Settings, then click the Updates & Security tile. To limit update downloads and uploads, just tick the relevant check boxes and use the sliders to adjust the limit. If you run into issues with the update or changing these settings, drop by our store at 6 Smith Street, Warragul.